For anyone that travels one of the main concerns is security of your personal items. Your carry bags can easily be secured with the help of anti theft bags but what about tampering of your suitcase when it’s not in view? Airport luggage security systems have changed a lot over the last few years. In major airports, luggage is carefully screened using special luggage X-ray systems. Although this has greatly improved the safety of our air travel, the baggage handling system can really beat up your luggage. But that is not even our major concern today. We are more concerned about the people who have somehow learned how to open zippered bags using a simple trick. There are stories of innocent travellers facing the consequences for items found in luggage on arrival at various destinations around the world. Or finding that items have disappeared from luggage during transit. So how can you protect your luggage against this kind of intrusion? The solution is pretty simple. Buy a zipperless luggage set. 2 What is a Zipperless bag? 7.3 Wheeled or not wheeled? 8 Should I choose 2 or 4 wheel no zipper luggage? What is a Zipperless bag? As the name suggests, a zipperless bag is exactly that, non zippered luggage that doesn’t require a zipper to keep it closed. Now you might be wondering how these kinds of bags close securely. Non zipper luggage sets are normally hard case luggage without zipper, which means they click down, snap shut and are secured using a lock. It’s however not uncommon for some zipperless cases to have zips, but they are tucked away and appear hidden, so the case looks like it’s zipperless. Buying a zipperless bag is the safest way to avoid falling victim to theft and luggage tampering. We present to you a selection of no zipper luggage in our 2019 Best Zipperless Luggage Reviews which we are confident that you will love. We have considered all important factors such as organisational features, material, design, weight, and price to make sure that there is something for everyone. To help you choose, we’ve listed the best Zipperless Bags available for easy comparison along with the main options they provide. To sort the table, click the column heading. For many, security is one of the major concerns when deciding on the kind of travel bag to buy. You probably already know the potential risk your zippered luggage faces when it goes through some airport baggage security systems, but do you know exactly how this happens? Your zippered bag can actually be easily opened using a ball point pen. All anyone needs to do is insert the pointed side of the pen between the teeth of the zip and pull against it to open. Once the culprit is finished tampering with your luggage, they can cover their tracks by simply pulling the zipper over the open section to close it. And it doesn’t matter whether your zipper pulls are locked or not. Zipperless bags, on the other hand, are not vulnerable to this stealthy tactic. Instead of zippers, they have latch locks that better secure the contents of your suitcase. Most of the hard sided zipperless luggage have a locking mechanism that comes with at least two latch locks. Some zipperless hard shell luggage come with either a combination code or a key, while others come with all the options. The 30-inch Samsonite Cruisair comes ready to handle tough stuff and situations. 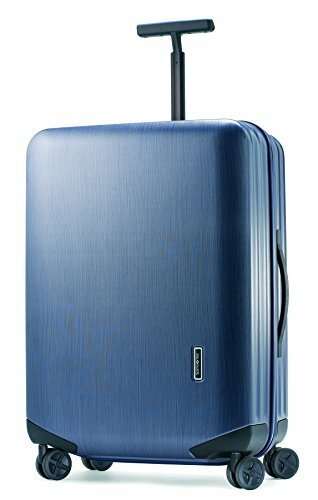 This zipperless luggage features intriguing texture design made of a durable aluminium frame. This no zip suitcase perfectly combines durability and construction in its construction while the material lends it flexibility, strength, and capacity. The lightweight performance is enhanced by the effortless mobility of the smooth smooth-rolling dual spinner wheels. The interior of each piece is lined and compartmentalised for enhanced compatibility. The DLX 26 comes with a TSA-friendly lock for advanced protection. If you wish to use the Samsonite Cruisair 26-inch as a carry on luggage, be sure to check with your specific airlines for their requirements. Aluminium framed 100% Polycarbonate: known for its durability, excellent thermal resistance, superior stability, and outstanding impact strength. Wheels: Four, dual spinner wheels designed to effortlessly roll over rough terrain. Safety: The protective frame comes with an integrated TSA combination-lock that offers advanced security and peace of mind when checking your luggage through the airport security system. Retractable handle offers additional manoeuvrability and flexibility when extended out and locks in place in both stored and extended positions for safe travelling. The Samsonite F’lite 28 comes with some of the best features in non-zippered luggage and make it worth every penny. Whether you are headed to the plains or the peaks, the GT Spinner 31 has got you covered. The Samsonite Brand itself is well established in the luggage market and we don’t hesitate to recommend it to anyone looking for a durable and multi-featured trolley. This solid vault is downright intimidating at a first glance. Typical of zipperless bags, it doesn’t come with external compartments and features combination locks to keep your belongings secure. The case is constructed of lightweight polypropylene material secured by a specially designed locking mechanism that keeps the bad guys as well as dirt and moisture out. The interior is spacious with divider panels and zippered pockets that enable you to keep your goods organised throughout the trips. 360 Degree Mobility: this feature helps you to swirl around and your zipless suitcases will swirl along with you. Washable. The suitcase is easily washable by hand and being waterproof, it doesn’t get tedious stains. Spacious. It can store everything you need for an entire trip and also allows you to bring back a lot more from your trip. Oversized Wheels. The four oversized wheels are sturdy, durable and will handle any type of terrain. ID Tag. the suitcase features an integrated ID tag on the handles that carry your identification details for security purposes. Push-button, Retractable handle system for additional manoeuvrability. If you decide so the MOIERG Vintage Trolley Luggage 2tone TSA, be ready to be disturbed every time you step out as people will be regularly stopping you to ask where you got your gorgeous trolley luggage. It’s one of the finest Zipperless trolleys by MOIERG and designed in Japan. The exterior is made of tough PVC material that is also waterproof to prevent any damage should you get caught in the rain. The MOIERG 2tone trolley is available in three different sizes; 17, 19 and 23 inches. The overall design is stylish and modern comes with four wheels for ease of transportation and manoeuvrability. The best part about the PVC material is that it’s very lightweight and the smaller case can be used as a carry on luggage. Tough, durable PVC material that is also waterproof. TSA locking mechanism for enhanced security when checking through airports. The side leather straps offer more stability and safety to your zipperless luggage. Two internal pockets for organisation. Comes in a variety of colours to suit your taste and preference. Whether you are planning a lifetime adventure or a weekend gateway, the Andiamo’s 24″ Elegante offers a lightweight durability and perfect organisation. The hard sided suitcase wthout zipper is designed on 4 gliding spinner wheels and a retractable handle that enables you to move easily. The bag features a lightweight High Tech aluminium/magnesium frame that is strong and lends a sleek look to the design. It also comes with an integrated TSA locking system to keep your belongings safe while travelling. Interior lined with divider panels for organisation and tie-down straps for stabilising the contents. Dual TSA locks for enhanced security. Retractable handles with a single release and lock button for secure travelling. Wheels. Smooth-gliding wheels for ease of movement. Polycarbonate hard shell with alloy metallic finish. Side and top carry streamlined handles. The Samsonite Luggage handle is sturdy and makes your movement smoother and hassle free. The side handles also comes handy when you want to lift your luggage. If you have to walk on a really rough road, the spinner wheels will still hold and make your ride not as rough. clean design and outstanding performance. Made of 100% polycarbonate designed for high impact resistance and durability. Four gliding wheels with 360-degree movement. Integrated three digit TSA locking system for extra security. Holds enough items for a 3-5 day trip. 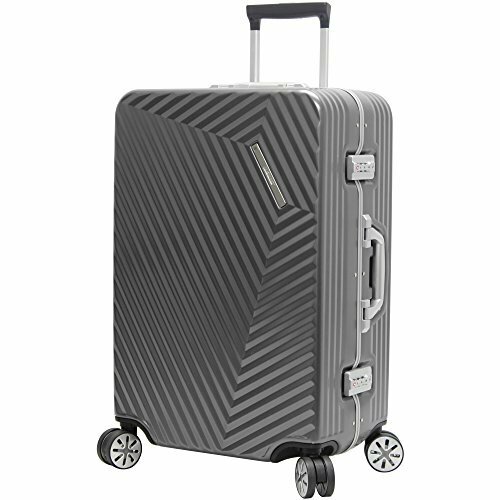 The Enkloze Blade X Aluminium Suitcase is made of 100% Aluminium alloy for durability and strength. It features an eight (8) quiet running dual caster 360-degree mobility wheeling system. It also comes with automatic folding handles, interior dividers, and dual TSA combination locking systems to offer a perfect balance between durability and security. The Enkloze luggage review may have landed in the last spot on our Best Zipperless Luggage Reviews list, but the Enkloze Blade luggage is extremely versatile and will go on hundreds of trips without showing any sign of tear and wear or giving in. Durability. 100% Aluminium based on a One Piece Mould Design. Security. Dual TSA approved Combination Locks. Style. 8 Quiet running Wheels Spinner. This style of Enkloze luggage has retractable, lockable handle system. Another major concern other than security when passing your luggage through the airport and train security is the way your bag is handled. Sometimes it may not be that the baggage handlers are not careful, it’s just the way airline baggage systems work. Some airports have diverters on their baggage system which steer your luggage into a different conveyor belt when there is a space constraint. However, they tend to do so with great force not differentiating between heavy and light bags. Aside from airport security checks, daily handling of luggage for frequent travellers can leave your bag beaten up just after a few trips. A majority of zipperless bags are hard-sided and usually crafted from tough materials such as aluminium, PVC or polypropylene. They effectively absorb most of the impact when tossed around which helps last longer and better protect your items. Additionally, most zipperless bags are manufactured from moulds and assembled using rivets or screws, which makes them less likely to have fabric rips. This way, you don’t run into zipper malfunction issues. Zippered bags can be quite a hassle to access. You will have to pull the zippers all the way along the length of the entire bag in order to access your items. Zipperless bags, on the other hand, can be simply flipped open once you key in your combination codes. Some options even have a Transportation Security Administration (TSA) locking system, which means the only other person who can access your luggage at the airport is the airport authority with a master key. Almost all non-zippered bags have handles and wheels that allow you to push them around easily. This makes them the best choice if your trips involve carrying heavy cargo that does not fit well in the collapsible zippered options. They can make a pretty good toolbox too or come in handy when you need to move compact heavy items. Most zippered bags are either soft-sided, expandable or both. Many times when users buy these bags as carry-ons, they end up not fitting into the cabin header space as expected especially if you have the bag packed to capacity. On the other, all zipperless bags have a definite size that doesn’t stretch beyond the indicated dimensions so you don’t have to use guesswork when you need a true carry on. There is nothing worse than being caught by a rainstorm while trying to catch a curb to the airport, spilling a drink on your luggage at the beginning of your trip or grabbing your luggage off the conveyor belt only to find it soaked in something. Thankfully, most zipperless bags don’t have these challenges. The material protects your items from the rain as well as spills. When buying a zipperless bag, chances are it will be wheeled and hard-sided. For this, check to see that the bag has a telescopic handle that enables you to wheel it around with ease. Also, make sure that it locks into position and remains steady throughout the pulling, pushing and tossing. 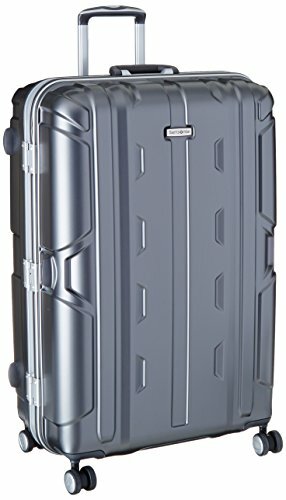 Additionally, check to see that it has side handles that will make it easy to lift the case into your car, overhead cabin or onto the conveyor belt at the airport. Zipperless bags are predominantly made of hard material. Most users prefer hard-sided cases due to their durability, enhanced safety, and portability. But still, you need to find out the type of material that hard case if made from. The most common options are PVC, aluminium, and polypropylene. Not all hard cases are durable though, some cheaper hard shells have a habit of splitting and breaking. Be sure the check the durability of the specific brand and material you are interested in. Most luggage in the market today come with wheels. Wheels make moving around with your luggage much easier, especially around airports, but they also have their own downsides. However, if you are planning to buy a large zipperless, hard-sided luggage, we strongly recommend going with the wheeled option. 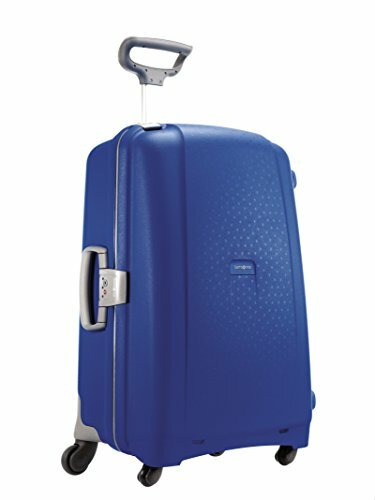 Should I choose 2 or 4 wheel no zipper luggage? Four wheels seem to offer more manoeuvrability as you can spin them 360-degrees. They also give you more options of wheeling your non zipper luggage beside you, behind you or in front of you. It’s also easy to navigate this luggage in tight spaces such as the aircraft aisles. The downside is that they can easily roll away should you find yourself on a sloppy surface. On the other hand, a two wheeler luggage only goes forward and backward. It’s also less ergonomic compared to its four wheel counterpart. However, the two wheeler is a better option if you are going to be doing a lot of walking in the streets. It’s easier to role on cobblestone streets, sidewalks or pavements and other uneven surfaces. Most of these bags are usually secure to use just by being zipperless. However, you can look for extra security features in your zipperless bag depending on where and how you intend to use it. If you have more valuable items to transport or if most of your travels take you through notoriously insecure streets or airports, you should consider buying hardside zipperless luggage. In addition to the casing, remember to check out the kind of locking mechanism of the luggage. You have an option to choose between key or combination codes locking mechanisms. Most high-end zipperless bags come with two latches which enhances security while others have both the key and combination codes locking mechanisms. Find out if the bag has a backup in case you forget your codes or the case locking mechanism malfunctions. The size and weight of your luggage will depend on how you plan to use it. Is it for flying, cruising, driving, or some other purpose? If you will be flying a lot, familiarise yourself with airline luggage rules. Find out the carry-on bag weight and size requirements for your airline of choice before buying your bag. The amount of luggage you need to move and the length of your journey will also determine the size and number of bags you will need. Older people may feel more comfortable with a lighter size or if they have a lot of luggage to move, it might be a good idea to buy a number of medium to smaller sets than buy one large bag. When buying a luggage, you need to decide between the soft-sided and hard-sided options. Even though the hard-sided bags are quickly gaining popularity, their soft-sided counterparts still have a sizable share of the market. Since they are all great options, you might feel a little overwhelmed before finally making a decision. Or you might be tempted to automatically go for the hard sided options. However, going through the cons and pros of each may just change your mind. Let’s have a closer look, shall we? Soft-sided bags are typically made of pliable and stretchy fabric which is normally woven fabric such as Cordura or ballistic nylon. The ballistic nylon is a bit smoother and shinier but it can abrade with time, however, the abrasion won’t compromise the strength of the fabric. Cordura, on the other hand, is softer, abrasion-resistant, which makes it suitable for over the shoulder bags. Those looking for lighter options will appreciate the soft-sided bag as it easily flexes and compresses to conform to tight spaces. The flexibility will also allow you to squeeze extra items in it. Fabric flexibility can also allow you to convert ordinary luggage into a carry-on. You will also appreciate how a soft-sided bag crumples into a small bundle to save storage space at home. Not as protective as their hard-sided counterparts and are vulnerable to ripping. The bags and can be opened by inserting sharp objects into the zippers. Hard-shell luggage is made with high-quality plastics such as polycarbonate and ABS, which as both durable and lightweight. ABS might be the lightest, but the polycarbonate is more durable. Aluminium is also commonly used, which is more durable but happens to be the heaviest. Most zipperless hard-sided bags have a top lid while some split open like a clamshell. They also have an X-Strap to keep the contents secured and organised. Best for protecting fragile contents and provide enhanced security because of the integrated locks. They also can’t be ripped with a blade and are extra durable. The zipperless hard-sided bags also stack easily and may prevent over packing. Hard-sided bags easily get scratches. They are also rigid meaning that you cannot pack in extra goods or squeeze them through tight spaces. Zipperless bags are continually gaining popularity, especially in the air travel industry. They offer a clever solution to those who want to protect their valuables from theft as well as those who are concerned about their bags being tampered with during transit through major airports, or destinations with questionable security measures. Generally, they offer enhanced security and safety for anyone who takes the security of their luggage contents seriously. Purchasing a zipperless luggage bag will have you choose between the different types hard-sided cases. They all offer considerable security and are preferred for their enhanced security and durability, while the soft-sided luggage comes with flexibility and expandable options they do not offer the level of security available with zipperless luggage. Whichever your choice, you just can’t go wrong with any of these security-enhanced luggage options.